Grab your spear and fur cape—it's time to head back to your caveman roots. 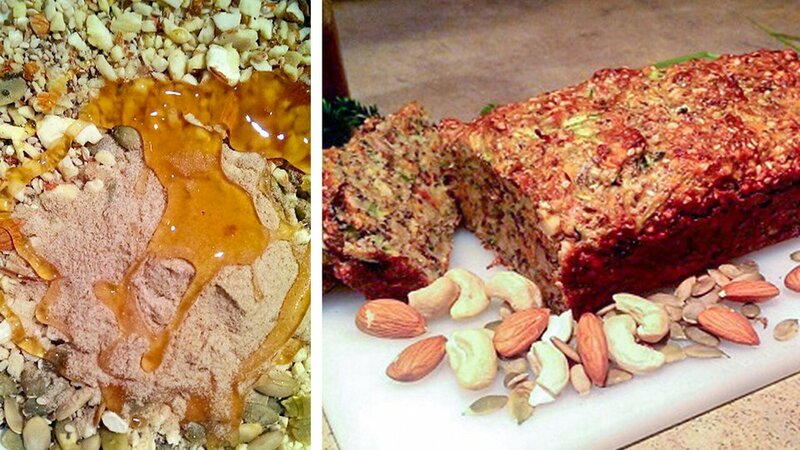 Try this easy, delicious Paleo-inspired bread recipe. It's so good you might just be inspired to hunt a mammoth! Lately, I've seen more and more people adapting the Paleo lifestyle. I have been slowly cutting out grains, dairy, and refined sugars and can already see great benefits. Once I grew accustomed to the higher fats, low carbs, and moderate proteins, my body adjusted and started to feel more energetic, lighter and leaner—even my skin has cleared up! Although I was having great success with a Paleo plan, I was missing bread badly. I love sandwiches and morning toast. So, instead of complaining about it, I created this low-carb, grain free, dairy-free, gluten-free Paleo-inspired bread! It's super simple, delicious, and can be dressed up with fruit, nut butters, or eggs and avocado.